For UTB-MENA, a coherent survey has been developed, that has been used at all researched neighbourhoods. You can download the survey here. The survey instrument included 31 questions in 6 sections, collecting data about the individual and household characteristics, commuting, local activities, public transport use, pedestrian and bicycle facilities, and the neighborhood. 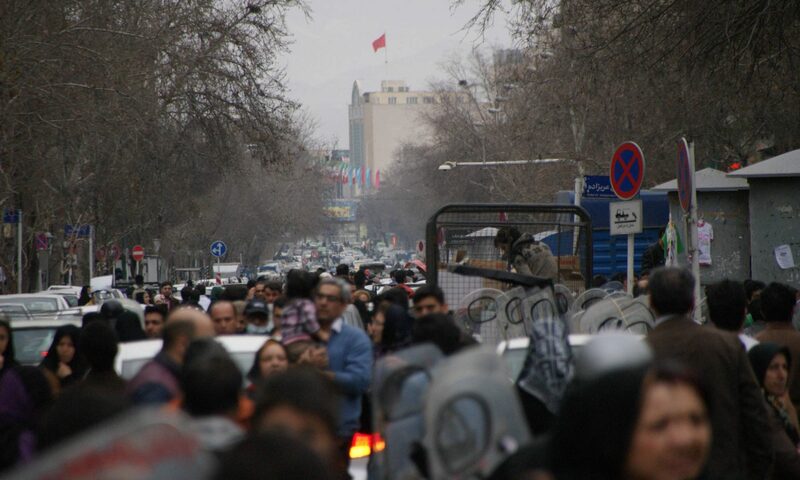 More than 8000 individuals were interviewed in 18 neighborhoods of Tehran, Istanbul, and Cairo in late 2016 and the first half of 2017. Survey outputs focusing on individual/household characteristics and travel behaviors were added to the home-based disaggregate data of land use generated based on the specifications of the built environment. 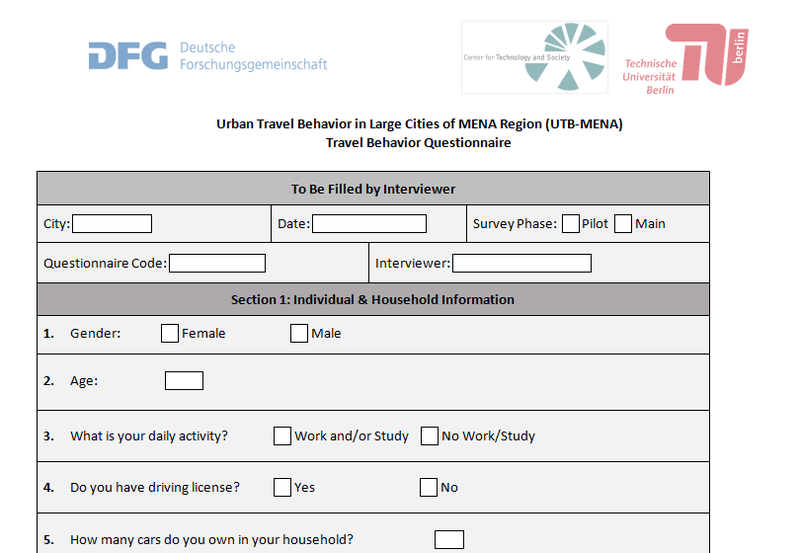 The questionnaire were applied for face-to-face interviews on the streets of the case-study neighborhoods.